I sometimes talk about my personal "three decade" bands, meaning bands I saw live as a surly teenager in the '90s, an unmoored and rudderless 20-something jellyfish in the '00s, and a sane and professional adult "hanging on in quiet desperation" in this decade. That list is fairly brief, with heavy metal luminaries like The Melvins and Neurosis looming large. Local bluegrass maestros and one-time farmers market champs the Compost Mountain Boys are on that list though, and for a good reason: I grew up here and they are bright, tight and fun. Plus, I worked with a few of them at Wildwood Music when I was in high school. 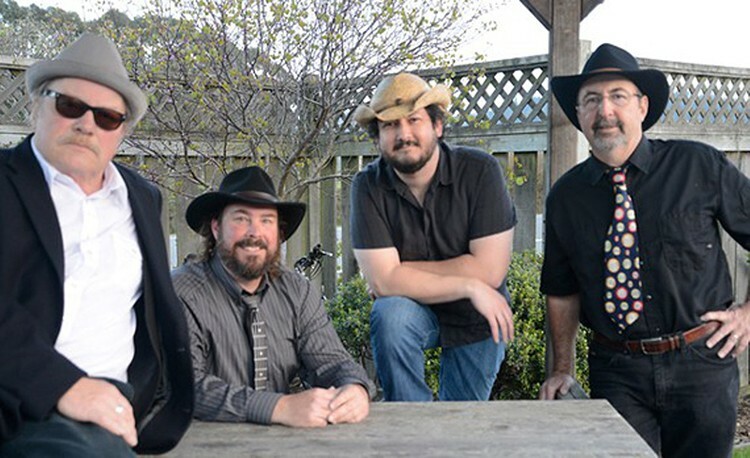 They play at the Mad River Brewery Tasting Room at 6 p.m. for free. The Van Duzer Theatre hosts Los Angeles' Chicano Batman and Houston's Kruangbin at 8 p.m., two excellent groups that do what I call a "filtered-filter" with their sound, meaning they take a type of popular music that has been absorbed and filtered by another culture and filter it again for modern ears ($25). Case in point: Chicano Batman has absorbed the sounds of Brazilian tropicalia rock bands like Os Mutantes, mixed it with the psychedelic soul output of R&B groups like the '70s iteration of The Temptations, and filtered it through a contemporary lens for modern audiences. Openers Khruangbin do the same thing with '60s Thai funk and Persian rock'n'roll. Good stuff.